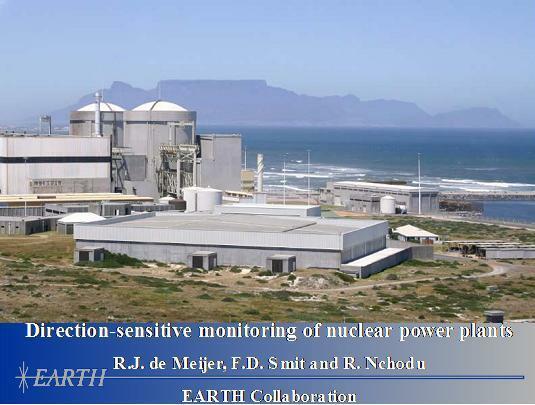 EARTH will be present at the Focused Workshop on Antineutrino Detection for Safeguards Applications, 28-30 October 2008. The Workshop is an expert meeting discussing the various antineutrino detector systems and their application in nuclear reactor monitoring with an emphasis on Non-Proliferation Aspects. Prof. Rob de Meijer, director of the Stichting EARTH foundation will attend the meeting as the Dutch representative and will present the current status of the EARTH direction sensitive detector system development.